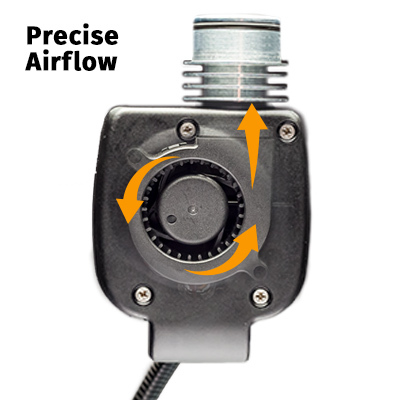 Control your temperature -- master your BBQ! 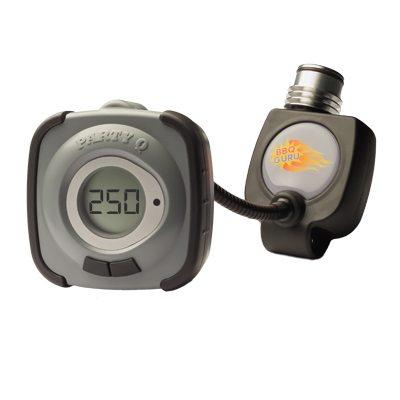 Cook tender, juicy, and delicious BBQ every time with the PartyQ temperature control device. 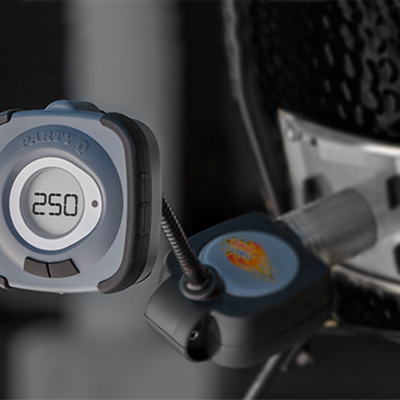 Whether you’re a beginner or a professional pitmaster, the PartyQ takes the guesswork out of barbecuing. The high-tech, portable control solves the two most common problems of cooking outdoors: regulating your grill’s temperature and accurately monitoring your food temperature. Maintaining low and even temperatures is key for success, but a challenge for even the most experienced pitmasters. 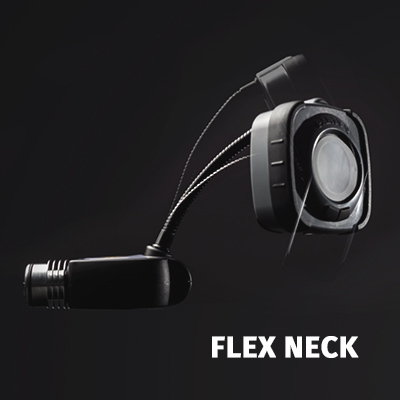 “Works as advertised! No more fiddling with dampers for me!” - Matthew H.
With the PartyQ, you no longer have to worry about temperature spikes from constantly opening and closing the lid of your smoker to check on your meat. 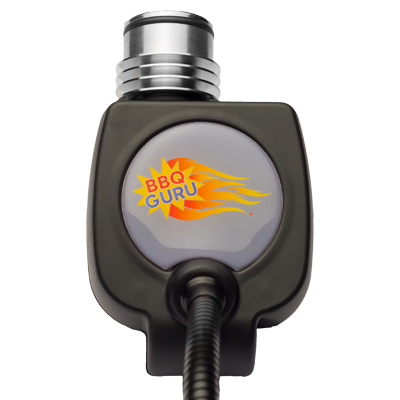 To take the guesswork out of BBQ’ing, simply attach the PartyQ to your cooker, place the high precision digital thermometer inside and set your desired cooker temperature. That’s it! 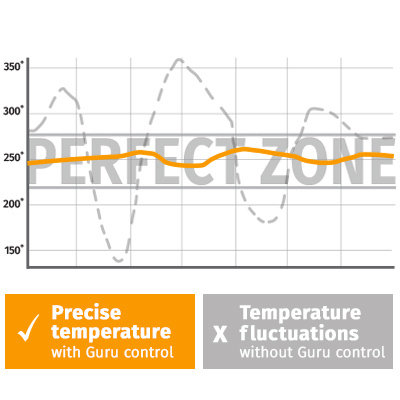 The proprietary technology monitors and controls the temperature, feeding the precise amount of oxygen to your fuel, helping you achieve accurate temperature control. The result is flavorful and perfectly cooked BBQ every time. “I love this thing—makes a long smoke effortless. I’ve gone 12 hours without fiddling once with the fuel and maintaining 225˚.” - Ken M.
“If you don’t have the PartyQ to go with your Weber, you are doing it WRONG!” - Austin S.
“Brisket and ribs were cooked to perfection.” - Teddy O. Because of the variety of cookers and grills on the market, we sell several different varieties of kits that make it easy to install the PartyQ. At the top of the page, select your cooker’s make and model, and you’ll see what kits are compatible. If you don’t see your grill on the list, select “other” from the drop-down, and tell us the make and model of your grill. Our customer service team will contact you within 1-2 business day to let you know which PartyQ kit will work best. CyberQ – Controls your cooker temperature, comes with three digital food thermometers, and notifies you your food is done with an e-mail, text, or audible alert. Monitor and control the CyberQ via WiFi with your mobile device or desktop.